Small business owners must wear a number of different hats, and tracking and managing expenses may be difficult. If you have your own business and need your employees to make occasional purchases, you might benefit by reviewing debit card information to determine whether debit cards might be a better choice for you instead of relying on requisitions and approval processes. When you are looking for information on debit cards to help with your business expense management, there are some important things that you should understand so that you find the cards that will best meet your needs. How big is the US debit card market? The U.S. debit market underwent substantial growth after the Great Recession in the mid-2000s. Debit card information from the 2016 Federal Reserve Payment Study reveals that debit card payments increased from $2.1 trillion to $2.56 trillion between 2012 and 2015. In 2015, 69.5 billion debit card purchases were made in the U.S. The value of the purchases that were made grew by 6.8 percent each year between 2012 and 2015. Debit cards are used more frequently than credit cards, but they are likelier to be used to make high-volume smaller transactions. Credit cards are typically used to make larger purchases. What is useful debit card information? Debit cards are cards that are issued by banks or credit unions that allow you to make purchases with your own money without having to carry cash. When you are looking for debit card information for business cards, you’ll find that business debit cards work similarly to how personal debit cards work. The cards are linked to the business’s checking account and can be used to make purchases with the money in your account. When you make a purchase, the money is taken or debited directly from your business’s account. What types of business debit cards are there? As you are reviewing information on debit cards for businesses, you will likely find that there are several different types of cards that are available. Business debit cards may be linked to your business’s checking accounts and take money directly from the account to pay for the purchases that you make. Some business debit cards are free while others may charge small fees. Some debit cards such as the U.S. debit cards that are used by the federal government can be used to pay individual suppliers. There are also cards that are similar to business debit cards that are prepaid and refillable. Instead of being directly linked to your business’s checking account, these cards allow you to decide how much money to place on each card from your account, allowing you to establish spending limits. Who can benefit the most from a business debit card? If you look for debit card information you’ll find that many Small businesses may benefit from using business debit cards. Having cards that they can give to their employees to make purchases can help small businesses to get rid of wasteful processes such as reimbursements. Small businesses may also use debit cards to help them to track and control their expenses. Some cards allow business owners to set spending limits and to restrict how each employee is able to use his or her card so that unauthorized purchases cannot be made. Debit card information — how do I get one? If you are looking for debit card information so that you can determine how to get a business debit card, the process is straightforward. You simply find the debit card offer that you like and apply. Since debit cards do not involve your using the company’s money, a good card should not charge you any interest on the balances on your cards. You should also not choose debit cards that charge high annual fees. Finally, debit cards should not require you or your business to have a certain credit score to qualify and should not require credit checks. How much do business debit cards cost? When you are reviewing credit card information or debit card information from a couple of different companies, you should look for offers. Such as the one from Bento for Business. Bento does not charge any interest on its cards or high annual fees. Since the money on the cards is yours, you are not charged any interest, and your credit will not be checked. You are able to get two cards for free per year. Your business can get as many as 10 cards for an affordable monthly rate of $29 per month. Will it affect my credit score or credit? Debit card information should not affect your credit or your credit score. You will not be required to have a certain credit score, and your credit will not be checked when you choose a debit card instead of a credit card. 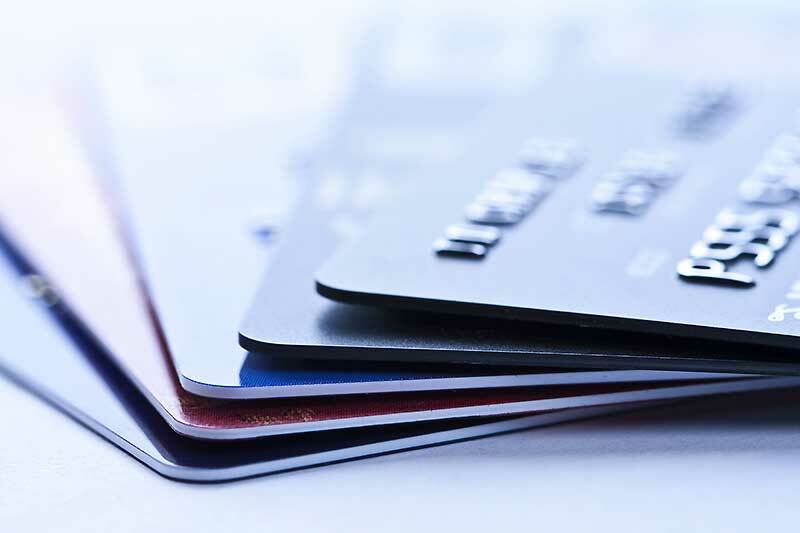 Credit card information demonstrates the differences between the cards. Unlike debit cards, credit cards require that you have qualifying credit and will check your credit. It might be difficult for you to be approved for a business debit card if you have any marks in your credit history or if your business has not been operating for several years. Credit cards also charge interest rates and annual fees, which can quickly cause your business debt to balloon. Debit cards allow your business to manage its expenses more effectively. Cards such as the prepaid debit cards from Bento for Business allow you to control who can use them, how much each employee can spend, on what each employee can spend and when the spending can occur. For example, you can choose to give an employee who drives for his or her job a limit of $100 per week to be spent on fuel-only purchases. A construction employee might be given a card that has a $500 per month limit that he or she can use at a home improvement store. You will be able to choose the spending categories and the available money on each card that you give to your employees according to their individual job duties, which can help you to easily track and control the expenses. When you review debit card information or credit card information, you might want to review what Bento for Business has to offer. The company is focused on offering expense management solutions that are designed to meet the needs of small businesses. Applying only takes around one minute, and the approval process is fast. The cards can be used almost anywhere, and deposits are insured up to $250,000 by the FDIC. To learn more, call 866.220.8455 or sign up for a free 60 day trial. What are business debit cards and how do they work?